BlackBerry is a line of wireless handheld devices and services designed and marketed by BlackBerry Limited. BlackBerry devices can record video, take photos, play music and also provide functions such as Web-browsing, email messaging, instant messaging, and the multi-platform BlackBerry Messenger service, and specializes in secure communications and mobile productivity. After going through the deployment of BlackBerry Device Service 10, and seeing a number of questions posted about it, this article addresses some of the issues and particulars of the installation. There have been a number of other questions posted, which hopefully this article will address for future installations. 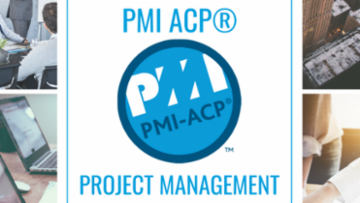 All of the information below is primarily from temporary systems created for this article and evaluation keys and SRP's. BlackBerry Enterprise Service 10 is the replacement for BlackBerry Enterprise Server. Released in January 2013, it incorporates three previous products, (BlackBerry Devices Service, Mobile Fusion, and Universal Device Management) into one installation package. First, you can install this without touching your current environment. However, to fully integrate an existing environment, you need to at least be on BES 5.0 SP3. This will allow the web management to not only administer the new BlackBerry 10 devices, but the older Java based devices as well. Also, you need at least two servers (one preferably in the DMZ). Finally, in order to perform over-the-air activations of Blackberry Playbooks, these devices must be running at least version 2.0 of the OS. Sure. I will upload it here in the event someone else would like it. Thank you. I am glad you found it useful. Taking this further, you could look at service availability measurement by running a simulator connected to your BES Router or BlackBerry router, where it's in a DMZ (you'll need to allow 4101 through for this to work in the DMZ scenario) and automate the sending of an email with the <confirm> text in the subject - if not message delivery is returned from the Simulator this indicates a problem - the BES still needs a connection to the BlackBerry Infrastructure for this to work, even on a Simulator. Blackberry is the key service used in the corporate world to enable Email on mobile. As it is a business critical solution, issues related to Blackberry are taken up with high priority. When I start working on a Blackberry issue related with mail delivery, Here is the sequence of test which I perform. 1) Check the signal strength on Blackberry Device. The shortcut I use is "ALT + NMLL " . If the shortcut didnt worked, Go to Options -> Status. Check for the Signal Strength. The ideal value for the Blackberry signal strength should be -80 dBm to -100 dBm. Anything above -100 dBm points an issue with the mobile carrier. If signal strength is fine, Proceed with step 2. 2) If the last test mail is not getting delivered, Identify the PIN number of the Blackberry device and send a PIN message asking for a reply. Add the user on Blackberry Messenger. Once accepted, send a test message from the BBIM. Wait for "D" appearing just above the tick mark. "D" will appear only if the corresponding message got delivered to the recipient. If PIN Messages are getting delivered and user is able to reply, Proceed with STEP 3. BlackBerry Administration page displaying "Cannot Display the Webpage"
“LifecycleException: service.getName(): "jboss.web"; Protocol handler start failed: java.io.IOException: Keystore was tampered with, or password was incorrect” after service is started. Wiping the whole BlackBerry server looked like the only option, but unfortunately for me, it wasn't an option! I spent several hours piecing together bits of information to repair the Keystore and after realising how frustrating it was, writing this article to hopefully save others from the turmoil! The new PlayBook may not be the hottest selling tablet out there and may not be breaking much in the way of new ground but, for the committed BlackBerry users, it allows them to keep pace with a fast-moving industry. Much of the interface is familiar and anyone who has used a touch-screen device will recognise many of the standard features: swipe to scroll, pinch to zoom and so on. But there's more. There are several tricks that aren't common to other devices that will allow PlayBook users to have a small smile on their face as they whizz around their device. The first trick is swiping from the frame onto the screen. Swipe from the bottom edge of the frame upwards onto the screen will minimise all apps and show you the Home screen. Swipe downwards from the top of the frame onto the screen will give you a context menu for the current app. Left and right swipes will allow you to flick between apps without having to return to the Home screen. Finally, swipe from the top-left or top-right corner diagonally onto the screen and you can quickly view the status bar to check email notifications, change system options, etc. without having to leave your current app. When you are on the Home screen you can close minimised apps simply by touching the app and swiping upwards. There are various sources that I've used for this process and I've used it many times and adapted it with my own findings. This process is not meant to be a definitive troubleshooting guide for BlackBerry installation. That needs to be handled elsewhere. This process will allow anyone with a standard server configuration and no prior BlackBerry installation to implement the software with a minimum of fuss. Note: In an Exchange 2010 environment, the BlackBerry Enterprise Server should NOT be installed on the mail server UNLESS you are using the Express edition which is designed for this purpose. Also, before installing BES, you MUST have public folders enabled and have an Offline Address book configured in Exchange 2010. Is there any update on how to safely decommission BlackBerry server remnants in the Active Directory ? I've already touched on keyboard shortcuts that can be used in a BlackBerry to make navigation much more easy but there are also another set of commands which are hidden for different reasons. Standard users won't need these unless under exceptional circumstances. More advanced users may find them helpful. A good place to start is how to clear corrupted databases on the handset. If you suspect your Calendar is corrupt and you use OTA synchronisation, you don't need to use BlackBerry Desktop Manager to clear the database. Simply open the Calendar, press the BlackBerry menu key and choose Options. Now type RSET. You will get a prompt to clear and reload the Calendar database. This also works for the Contacts database. Whilst we are in the Contacts, you can hold Alt and type VALD to validate the data structures or RBLD to rebuild them. Open up a contact, hold Alt and type VIEW will give you additional information such as the RefID and ServerID which can be useful for troubleshooting. This also works for email messages and Calendar entries. Want to hard reboot the device without taking the battery out or downloading a third-party application? On the Home screen, press and hold the left-hand Alt key, the right-hand Shift key (aA) and tap the Delete key. You can also change the signal bar on the home screen to a numerical value by holding Alt and typing NMLL (values between -80 and -100 are ideal). Alt + LGLG gives you the Java Event log. For many people, the BlackBerry is an indispensable tool during their working day. The ability to have your emails delivered swiftly and securely to your hand can improve your personal efficiency immensely. So, how many people do you see with their BlackBerry in hand flicking their thumb over the trackpad and scrolling, scrolling, scrolling, scrolling through the messages? You'd think there would be an easier way, wouldn't you? Well, there is. Here's a helpful list of little shortcuts to make navigation and use of your BlackBerry that little bit better. You can move one page at a time by using Space or Shift + Space. Alt + S will take you to SMS messages if you are using a combined view in your messages. Finally, you can use 'I' as a shortcut to file a message. BlackBerry can provide (arguably) the best global email delivery solution. That is, until something goes wrong at which point it can be a nightmare to troubleshoot. The log files on a BES can only be decoded by an expert and some of the errors that get reported on the handset are ambiguous to the point of being irrelevant. So, where do you start? Well, the signal bar can give you some useful guidance. Look at the signal bar in the top right corner. There will be something written next to it. Whatever is there could point you to your problem. 1. OFF - Your BlackBerry mobile signal has been turned off. Go into Manage Connections and put the check in the box. 2. X - Your BlackBerry mobile signal is switched on, but you don't have a signal. Wait a few moments or move to somewhere where there is a better signal. 3. SOS - You don't have any network coverage on a usable network. Move until you do. 4. GSM - You have a signal that you can use to make and receive calls and send texts, but that's it. You typically see this flash past as the BlackBerry connects to the network. If it stays there, try pulling the battery to reset it then contact your mobile network and ask about faults in your area. The next few depend on your make and model of BlackBerry and the country you are in. Thanks for that. I'll see if my style of writing is helpful to people. If it is, I'll look to add some more BlackBerry articles. 1) Find the ~3’ USB cable and plug the small end into the BlackBerry. 2) Take the larger rectangle end of the USB cable and plug it into an available USB port on your laptop. (Note: Make sure your laptop is started up before you plug in your BlackBerry, as it may try to boot to your BlackBerry). 3) Make sure your BlackBerry is unlocked. 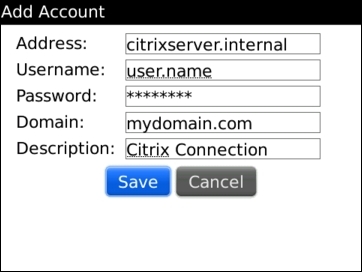 4) Shortly after making sure your BlackBerry is unlocked find “VZAccess Manager” on your desktop and double-click it. You will see the VZAccess Manager software load and it will attempt to detect your BlackBerry. 5) When the software sees your BlackBerry, it will likely prompt you to enter your password several times on your laptop in a window that looks like the one below. Make sure your BlackBerry is still unlocked. 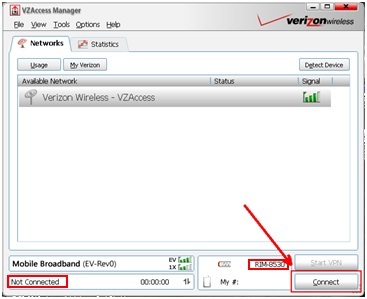 6) After the prompts for your password are gone, click on “Connect” down in the bottom right hand corner of VZAccess Manager. 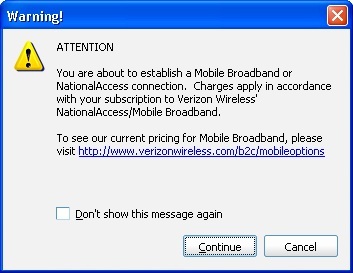 Verify that you have an adequate signal as indicated by the green bars under the signal column, and that your BlackBerry model is shown to the left of the connect button. The BlackBerry model # being shown means that the BlackBerry is recognized. 7) Shortly after clicking “Connect,” you may see a window like the one below. 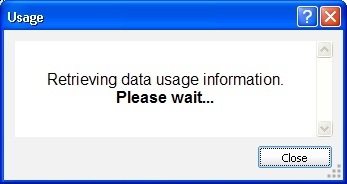 Click on “Don’t show this message again” and then click “Continue”. 8) There will be a temporary window pop up showing that VZAccess Manager is gathering usage information. This window can be ignored as it will close automatically after a few seconds. BlackBerry Enterprise Server (BES) 5 includes a new High Availability (HA) feature, which can be used to install a standby server that is failed over to in the event of maintenance or a disaster. This can be setup for auto failover, or simply used to fail over manually if and when required. The HA feature can also be used to perform a server migration to new hardware, using different server names, if you are upgrading or decommissioning your existing BES and/or hardware. The new server is installed alongside the existing BES and connected to the existing database, manually failed over, and then the old BES is uninstalled. If you already have HA configured and have a standby server installed, the standby server will need to be uninstalled for the HA migration. This can be reinstalled once the migration has completed. Backup the BESmgmt database using SQL Enterprise Manager. This is a basic guide on setting up email accounts on BlackBerry mobile devices using the BlackBerry Internet Service (BIS). If you just want access to your email with the option to send email using this same account then this guide should be helpful. If you're network is not listed here, try using a search engine such as Google or contact your mobile network provider. You will then need to set up a new account for the device, this is where you will need your IMEI & PIN numbers. When you have successfully created the BIS account you can then move onto setting up your email. 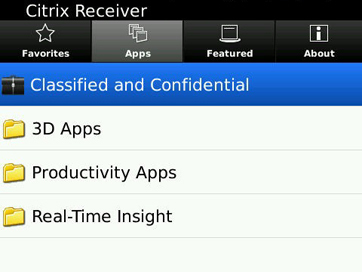 The latest Citrix Receiver has been released (May 2010) and is finally available for BlackBerry devices, version 1.0. 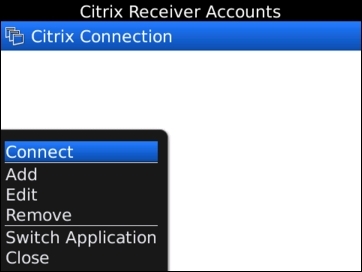 Once installed, BB users can access Citrix applications from their device, on any* mobile network or WiFi connection. This is currently only available to BlackBerry users on a BES and does not work if you are a BIS user. Reports also suggest that it doesn't work with Secure Gateway, of which I can confirm my setup did not. 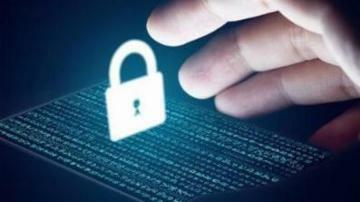 However, providing your BlackBerry is connected to your BES, you should be able to resolve your servers on the private LAN from your device, and therefore shouldn't need to go via a Secure Gateway. I'm assuming at this point, that you already have a Web Interface Services site setup and is accessible and working, for example, with desktop clients. 1. 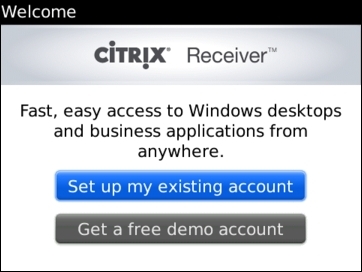 Download and install the Receiver from http://www.citrix.com/blackberryinstall on your device. 2. When it has installed, run the application, and select "Set up my existing account". 3. Enter the information in all of the boxes, as follows. When you enter the address, enter the FQDN of the internal (private) server address, or IP address (you don't need to include any http, /citrix/xenapp/config.xml, just the FQDN). Press Save. 4. Press the Menu button and click Connect. 5. You should be presented with your published application list. Scrolling and clicking on the required application will launch it. There are many BlackBerry shortcuts which will work for most BlackBerry devices for messaging, browsing, composing messages and more. Once you get the hang of it, using these shortcuts will make you much quicker on the draw and help you harness the full abilities of your device. They will not only save you time, but help you easily navigate through all aspects of your device. Some of us use our BlackBerry's to save time whilst away from the office, so using shortcuts will help you save time whilst you save time! No problem at all, thanks for your help, David. Having now spent 3 months on the iPhone, I am at a loss as to how anyone would choose this device for business use. After many years using Blackberry phones (several 7xxx models and, until recently, an 8100 Pearl) I have reluctantly had to switch to an iPhone (3GS 32GB) in order to test some software. There are so many functions that I relied on that are just not available on the iPhone. I acknowledge that some of these might be specific to my carrier and some might be due to the actual way I prefer to operate. I have come to use, and rely on, my Blackberry as a virtual office and communications centre that allows me to be fully in touch when on the road. So I thought I would put together a list and see if any of the iPhone experts can tell me if I'm doing it wrong or if this device is really so flawed and I’m immune to the Kool-aid. It is a bit out of date ... Blackberry still has the lead in security, but most of the other areas would be different. I might look at doing the S5 V the new Sony when they're out ... the specs seem to favour the Xperia. With the release of BlackBerry Enterprise Server (BES) 5.0 and the large amount of new features on offer, many administrators, IT architects and professionals will be looking very seriously (if not already considering) at migrating to, or deploying, the new version of software. However, whether you are an experienced BlackBerry Administrator or have just begun your foray into the administrative capabilities of the your BlackBerry environment, there has always been one cause of frustration suffered by all - the ability to move users within an organisation with the least amount of effort and service downtime. Enter BlackBerry Enterprise Transporter, or "BET". BET is a new, free tool that comes bundled with BES 5.0. It's aim is to move users seamlessly from one BlackBerry domain and configuration database to another, without the need for users to enterprise activate. It's designed to be robust and won't move a user unless the operation can be performed successfully. There are some caveats, however, most noticeably with older devices (4.3.0 and 4.0.0.2 handheld code). They'll still work, but you may need to enterprise activate the device in order to complete the operation. Note: if you have a 4.1.x environment sharing a BESMgmt database with a 5.0 server then BET is unnecessary. Do users have to reactive after this? Ever have trouble updating the ringtone settings on a Blackberry Curve? If so, here are the steps for changing your ringtone settings. The most interesting thing about changing your ringtone settings is that once you know where to start, it gets a whole lot easier. Although you might think that the 'profile' option would be simply for selecting which profile to use on your phone, it is also used for updating the profile. From the profile menu, scroll all the way down passed the 'off' option to 'advanced' and select the 'advanced...' option. When you are on the 'Profiles' menu, you will see all the different profile settings--loud, vibrate, quiet, Normal, etc. At this point you simply need to select which profile you want to change. Scroll to the desired profile option and select it. Once you have opened your desired profile, you will be presented with a host of options from Browser to SMS Text to Push-to-Talk. Within this list, scroll to the 'phone' option and select it. This is surprisingly similar to the Nokia platform and changing a ring tone on a Nokia phone.